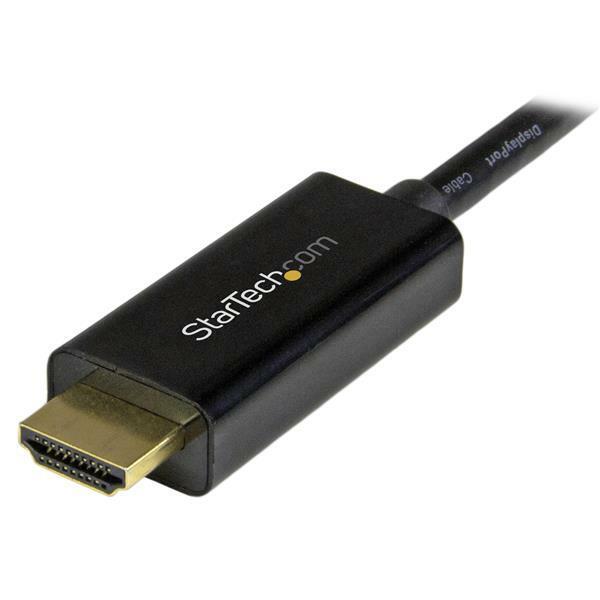 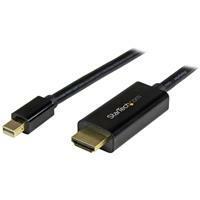 This 3-meter (10 ft.) Mini DisplayPort™ to HDMI® adapter cable offers a single-cable connection from your mDP equipped Microsoft® Surface™ Pro, MacBook or Ultrabook™ laptop to an HDMI display or projector.The passive adapter supports video resolutions up to Ultra HD 4K and is Thunderbolt™ compatible, when connected directly to a supporting DisplayPort over Thunderbolt I/O port. 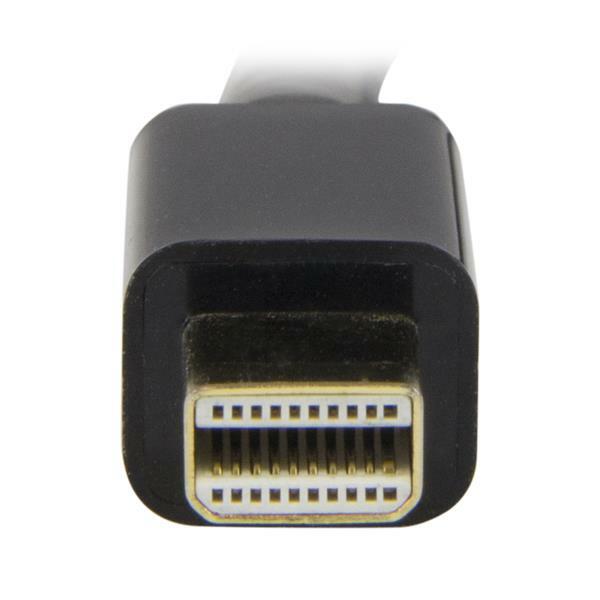 At 3 m in length, this adapter cable delivers a direct connection that eliminates excess, to ensure a tidy, professional installation. 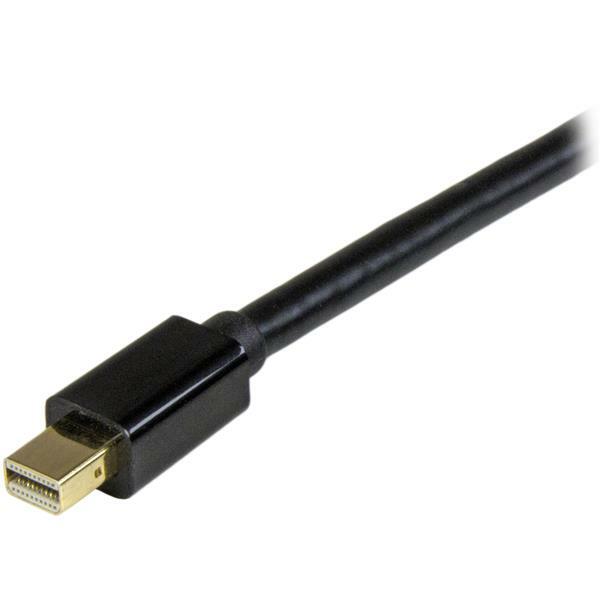 For shorter or longer installations, we also offer a 1-meter mDP to HDMI cable (MDP2HDMM1MB), a 2-meter mDP to HDMI cable (MDP2HDMM2MB), and a 5-meter MDP to HDMI cable (MDP2HDMM5MB) enabling you to choose the right cable length for your custom installation needs. 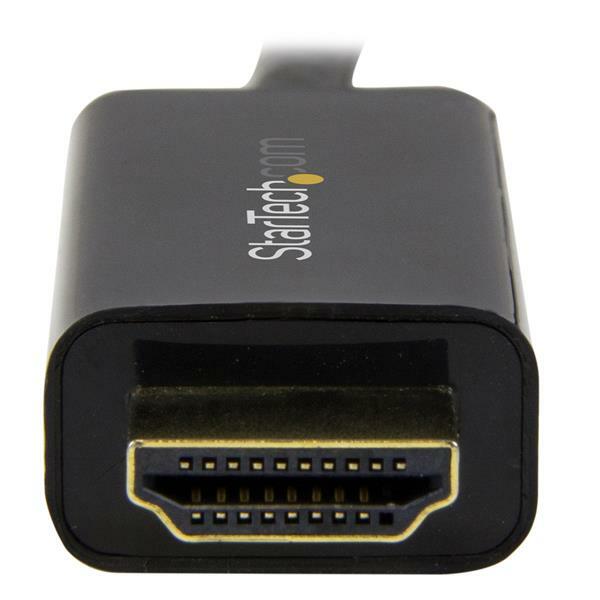 The MDP2HDMM3MB is backed by a 3-year StarTech.com warranty and free lifetime technical support.